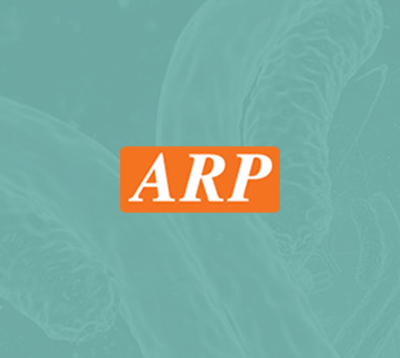 PCR Products | ARP American Research Products, Inc.
Polymerase chain reaction (PCR) is a technique used to amplify specific DNA sequences in vitro. The PCR technique, developed in the early 80’s by Kary Mullis, is a highly efficient method of DNA amplification that has numerous applications and has revolutionised molecular biology. The procedure relies on the use of a thermostable enzyme, DNA polymerase, which can function at temperatures more than 90oC. It also depends on the use of oligonucleotides primers that are designed to bind to the 5’ and 3’ sequences on opposite strands of DNA, flanking specific sites of interest. The basic process of PCR amplification involves a cycle of 1) DNA denaturation, 2) annealing of primers to complementary sequences on the denatured DNA strands and 3) extension of the primers along the DNA fragment, by DNA polymerase, to form two new double strands of DNA. This cycle of denaturation, annealing and extension can be repeated many times resulting in selective enrichment of a DNA sequence in a short time. By amplifying the DNA fragment of interest, PCR enables scientists to study DNA that would otherwise be present in amounts that are undetectable. RNA can also be amplified using PCR. The PCR technique has been used widely in clinical diagnostics, forensic science and biomedical research. Since the invention of PCR, the technique has been developed further to enable researchers to quantitatively measure PCR product accumulation as it happens in ‘real-time’. The various methods of real-time PCR all rely on the use of fluorescent reporters which can be automatically detected as the DNA is amplified. Real-time methods of PCR provide a more accurate and reliable measurement of the amplified PCR product.